The MSc in Supply Chain Management and Purchasing (SCMP) provides a opportunity for acquiring a specialist qualification in the area of supply chain management, combined with a generalised one in project management. The MSc offers a dual competency in supply chain management, and purchasing & project management. Many internationally recognised certifications are facilitated within this MSc: BASICS, SCOR S, ASQ, PMI®. The MSc programme includes the Global MMOG/LE certification & consulting project allowing participants to assess the logistics performance of specific companies. How much professional experience should I have if I am applying with a three-year degree? I have to take more tests after this master’s to get a job? What are all the certifications your site talks about? What kind of academic backgrounds and professional experience do candidates usually have? What’s the typical entry-level job in supply chain management after a master’s program? How do you teach project management exactly? Are there concrete projects for practicum? What is the “personalized follow up until recruitment” promise on your website? 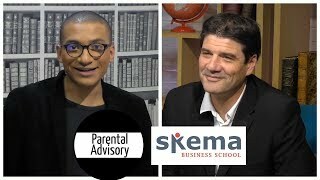 Does SKEMA act as our personal job agent? Where do aspects of international business come into the curriculum? What’s the best way to make my profile stand out for potential employment by partner companies like Alstom and Dow Corning? As a foreigner, what’s the advantage of doing this master in France? Is SKEMA the international authority on Purchasing and Supply Chain Management? What life like as a student in Lille? I am from Singapore and have only been to Paris. Expert Question: How does this program take into account the growing trend of corporations implementing more sustainable practices and efforts to take into account environmental impact? What are your language requirements for international students? 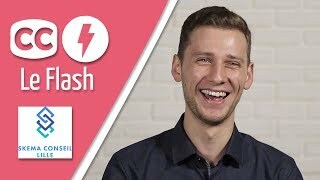 What should my level of French be? If I do the two-year program, are there university exchange opportunities?